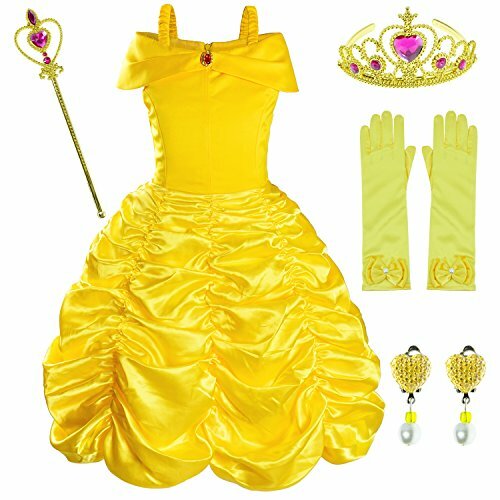 Every girl has a princess dream. 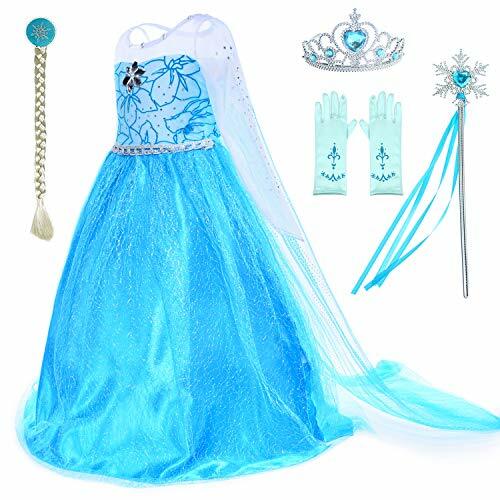 This luxurious princess suit can fulfill the dream of a little princess. 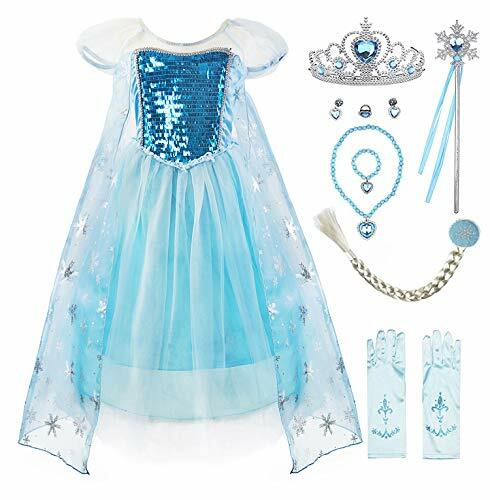 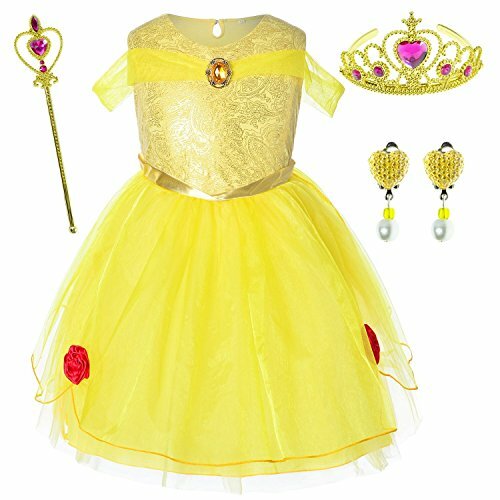 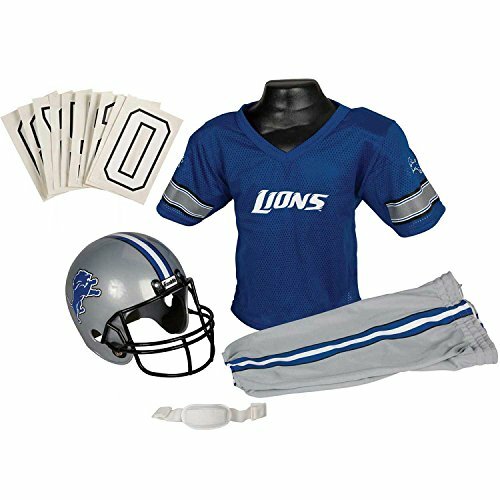 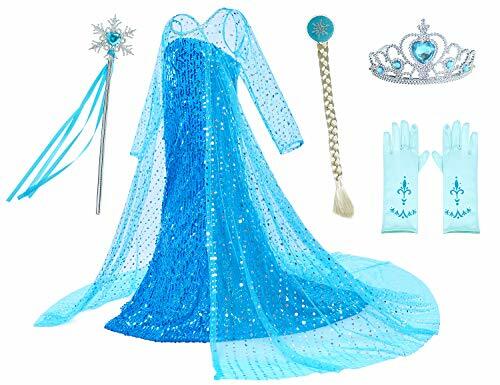 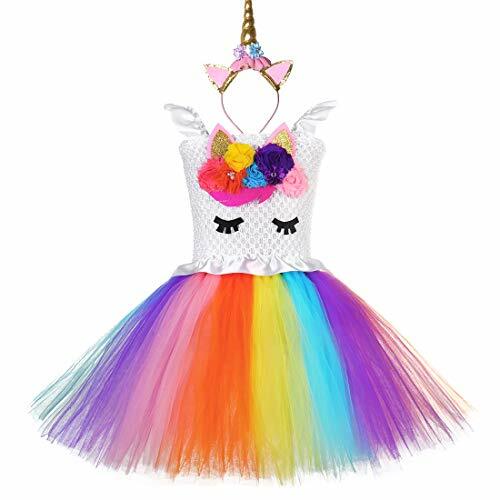 Beautiful blue skirt with cape, tiara and wand,wig toy,gloves,each one can make girls happy.your little princess would be happy to scream when opened the gift bag, she would be a pretty princess. 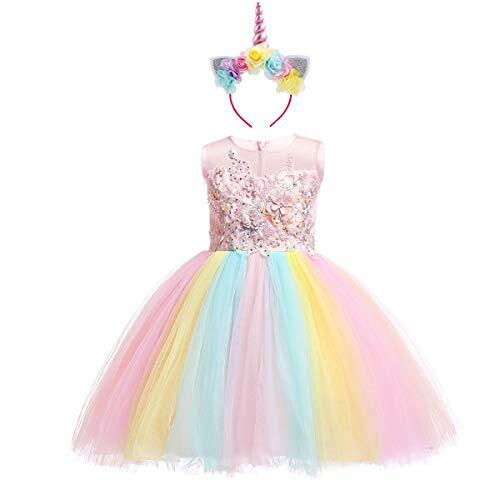 Size Chart Information Age 2-3 Years: Suggest Height:39-43" Chest:20-22" Waist:20-22" Full Lenght:43" Age 3-4 Years: Suggest Height:43-47" Chest:20-23" Waist:20-23" Full Lenght:44" Age 4-5 Years: Suggest Height:47-51" Chest:22-24" Waist:22-24" Full Lenght:46" Age 5-6 Years: Suggest Height:51-53" Chest:23-25" Waist:23-25" Full Lenght:50" Age 7-8 Years: Suggest Height:53-57" Chest:24-26" Waist:24-26" Full Lenght:51" Age 9-10 Years: Suggest Height:57-59" Chest:25-28" Waist:25-28" Full Lenght:51"